The feline patients of Mount Tabor Animal Hospital are treated with the utmost care and respect, just like they are part of our own family. We provide a separate entrance for cats and their humans, and a waiting area that is separate from our dog waiting area. If you are the proud owner of a new kitten, congratulations! Caring for a kitten is exciting, and we are here to help you with those crucial healthy routines that should be established early in the life of your kitten. Overall health checks from head to tail. Check for external parasites such as fleas, ticks, or ear mites. Stool check for internal parasites, the most common being worms. Discuss pet nutrition, home acclimation, socialization. Kittens require a series of vaccinations between six weeks and four months of age to fully immunize them from harmful diseases. 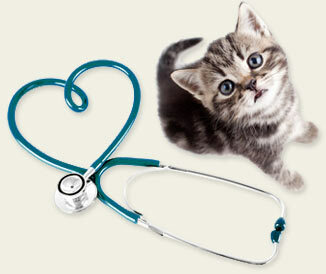 During your new kitten exam, we will review this information with you, and schedule vaccine boosters. 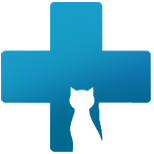 Are you a cat owner in search of a caring veterinarian in the Piedmont Triad, NC area? At Mount Tabor Animal Hospital, we know that proper care for a pet cat is vitally important, and that's why we are happy to provide you with this FREE e-Book that will help cover most of the basics about feline pet care. "The veterinarians at Mount Tabor Animal Hospital are not only kind and caring, but they are so knowledgeable." "The veterinarians at Mount Tabor helped keep my cat Cuervo alive for 14 years.."
"I have been taking my cats, both my personal cats and my Siamese Rescue foster cats to Mt Tabor for many years and I will never go anywhere else."